Memorial Day unofficially commences the start of the Summer season. But it’s so much more. This morning I watched Coco for the first time with my son. If you’ve seen this movie you will understand why this is pertinent. But if you haven’t seen it, I won’t give it away, just be sure to rent it or buy it (yes, it’s that good). It got me thinking about everyone who has gone before me, but specifically family and friends who never got to see the sun set on a long life. And as time marches on, without descendants, their legacy can quite literally disappear into the sands of time. My grandmother’s cousin was killed at the Battle of Cherbourg very shortly after the Battle of Normandy, in France. His body wasn’t returned to the United States for over 4 years and so my family, like so many others, couldn’t even truly mourn him. He was only 19 years and a few days old. His name is etched in stone at the World War II Memorial in Washington, D.C. and I hope to take Enzo there soon so he can see that. 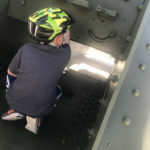 Military history and the representation of sacrifice surrounds us in the Mid-Atlantic and you don’t need to have a direct connection to the military to pay your respects not just on Memorial Day, but any day of the year. 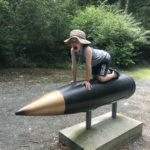 Visiting one of these many monuments or museums not only gives you an opportunity to spend (non-digital) quality time with your children but to instill appreciation for the the men and women of the armed forces, their sacrifices and those of their family’s. My fascination and appreciation for all things riveted, dates back to my childhood. Growing up, I shared my dad’s love of all things Navy and Coast Guard — ships, planes and jets. We happened to live in the perfect location to visit so many historic sites, museums, ship docks and hangars. 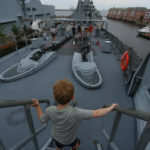 Delaware is basically right smack dab in the middle of Revolutionary and WWII Naval history. 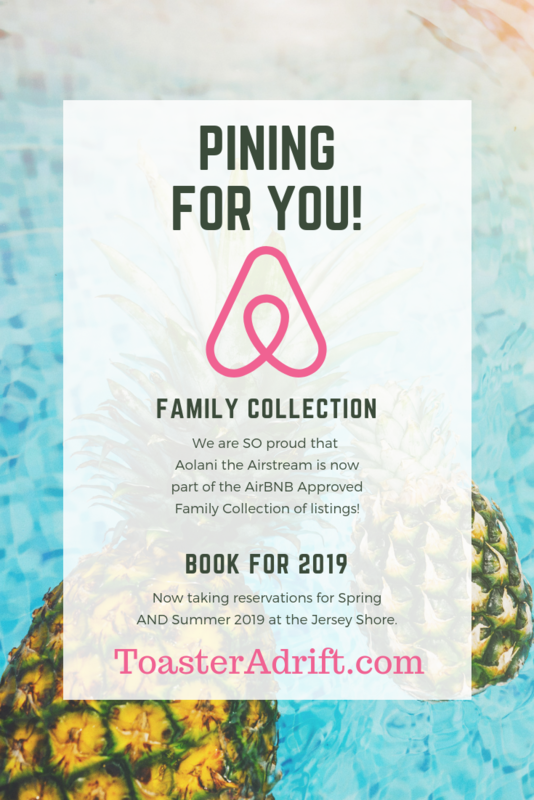 While my parents’ beach trailer was permanently anchored at the Indian River Inlet and Beach in Delaware, we jumped between Rehoboth Beach and Washington, D.C. like it was a morning trip to the supermarket, lol. We took a lot of day trips and the great memories remain, not to mention how much I learned. 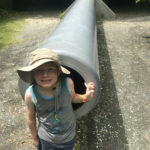 So now it’s a big deal to be able to revisit all of these places with my young son, find even more hidden gems and help him to understand what his family and complete strangers have sacrificed so we have the freedoms we do today. 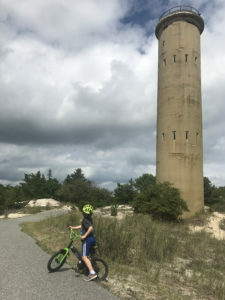 Enzo in awe of one of Fort Mile’s WWII Watch Towers in Cape Henlopen. 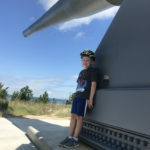 Fort Miles can be reached from Cape May, New Jersey, via a trip on the Cape May Lewes Ferry (a roughly 85 minute trip across the Delaware Bay, with or without your car). The AMC Museum is located roughly 40 miles (about 45 minutes depending on traffic) North of the Cape Henlopen State Park in Lewes, Delaware.The Dover Air Force Base can be reached from Cape May, New Jersey, via a trip on the Cape May Lewes Ferry (a roughly 85 minute trip across the Delaware Bay, with or without your car). Admission is FREE and the staff is very knowledgable about the history of the refuge! 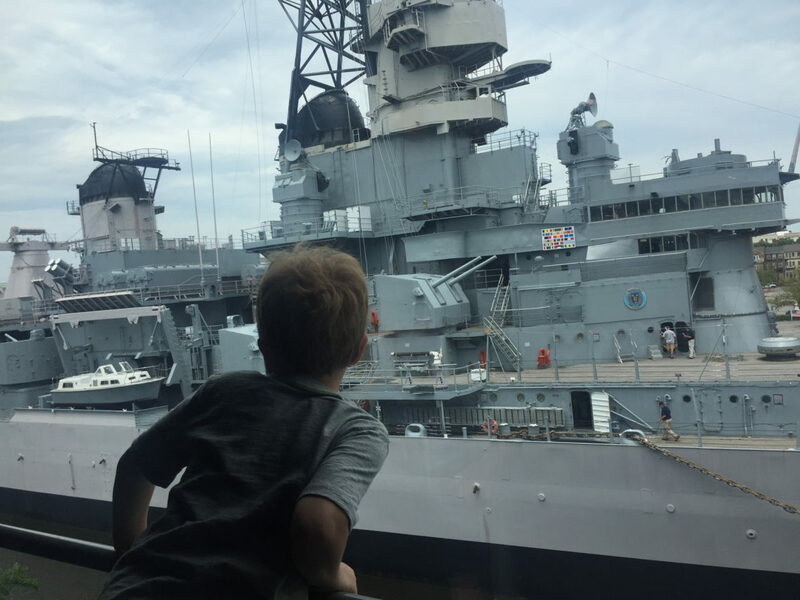 Both museums are in Norfolk, Virginia (Directions), roughly 45-60 minutes from Cape Charles, Virginia.Plus you get to go across the Chesapeake Bay Bridge Tunnel. Admission varies, but starts at $11.95 (child). Discounts are available for active military with ID. Did I mention that the Cape May Brewery is located at the airport as well?! And they permit children (even make them homemade sodas) under adult supervision. It’s a WIN-WIN! The Naval Air Station is easily accessible by all Southern NJ Shore points and can be reached from Cape Henlopen State Park in Lewes, Delaware, via a trip on the Cape May Lewes Ferry (a roughly 85 minute trip across the Delaware Bay, with or without your car). Admission starts at $10 for children 3-12, Adults are $14 and Active Military Members with ID are FREE. 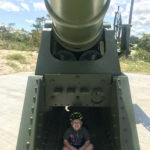 The Millville Army Airfield Museum is easily accessible by all Southern NJ Shore points and can be reached from Cape Henlopen State Park in Lewes, Delaware, via a trip on the Cape May Lewes Ferry (a roughly 85 minute trip across the Delaware Bay, with or without your car).